Autumn has arrived in Christmas River, but frustration levels are at an all-time high for the small town's residents as an unseasonable heatwave plagues the central Oregon Cascades. Somehow, pie baker extraordinaire Cinnamon Peters has managed to stay above it all. Recently married, Cinnamon's been happily working hard at her pie shop all summer to help pay for her and Sheriff Daniel Brightman's upcoming honeymoon to Hawaii. 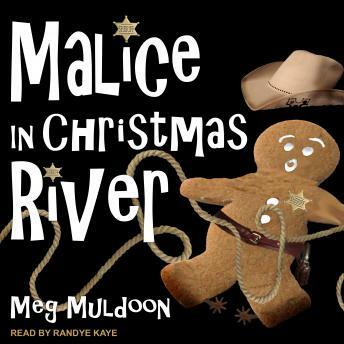 All that stands between them and paradise is the upcoming Christmas River Rodeo. Then it's nothing but blue skies, tropical waters, and Mai Tai cocktails. But when a terrible accident occurs at the Rodeo, Cinnamon realizes that getting to the honeymoon won't be so easy. Something sinister is going on in Christmas River. And Cinnamon soon discovers that it threatens to destroy everything she has.